Sjögren’s (pronounced SHOW-grins) is a chronic autoimmune inflammatory disease in which people’s white blood cells attack their moisture-producing glands, significantly decreasing the quantity and quality of saliva and tears. The disease was first identified by a Swedish physician, Henrik Sjögren, in 1933. Although the hallmark symptoms are dry eyes, dry mouth, fatigue and joint pain, Sjögren’s may cause dysfunction of other organs, affecting the kidneys, gastrointestinal system, blood vessels, lungs, liver, pancreas, and the nervous system. Patients also have a higher risk of developing lymphoma. The SSF exists only because of its members and supporters. By adding your voice to the fight against Sjögren’s and becoming a member, you are helping to strengthen our organization. When bound together, these voices help the SSF when we advocate for new treatments, new coverage for health insurance and when talking to companies about supporting the SSF. With each member, the SSF voice will get stronger and we will finally make Sjögren’s a household name. Get all the Vital Sjogren's Information on an Audio CD! Missed the 2013 National Patient Conference? Get all the vital information you need on an audio CD! Five of our most popular talks from the 2013 National Patient Conference held in Bethesda, MD are available for purchase as audio CDs. Each talk is 30-40 minutes long and comes with the handouts used by the presenter. Buy just the talks you want to hear or purchase the whole set! Click here to learn about SSF membership! Remember, if you order online you must sign in first to receive the Member discount. If you have any questions about your login information or want to order the CDs over the phone, please call the Foundation at 1-800-475-6473. Try ointments or gels at bedtime by first applying them only to the eyelids and lashes. If that is not helpful, place ~1/4 inch of ointment between the lower lid and eyeball. Because it blurs their vision, some individuals may not like using it. If you are bothered by light, wear sunglasses or try lenses with a FL-41 filter. Apply a warm, wet compress to the closed eyes using a washcloth heated in tolerably warm water from the sink or shower. Apply at bedtime and upon awakening for 5 minutes or more often if desired. When starting a new, preservative-free artificial tear, use the drops every 1-2 hours for at least two weeks before reducing frequency of use. When you taper their use, see if your symptoms worsen. It often is easier to determine feeling worse than better. Use non-preserved artificial tears frequently and regularly, even when your eyes feel good. Don’t wait until your eyes are uncomfortable. 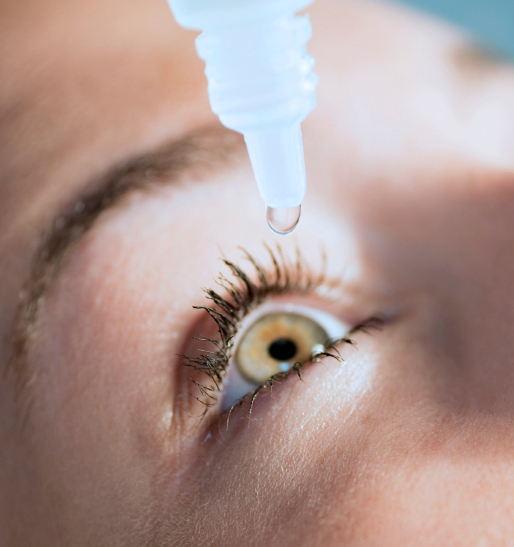 Share with us below what tips you’ve found the most helpful when treating dry eye. What is blepharitis & how do you treat it? Blepharitis is a term denoting inflammation of the eyelids. It includes styes and even allergic reactions of the lids. The most common use of the term, however, refers to a condition involving the oil glands of the lid margin (about 20-25 openings in each lid) that produce the outer layer of tears. This oily layer serves to retard evaporation of the tears, thus conserving them. When inflammation affects these oilproducing glands, there is increased aporative loss of tears. Studies have shown that up to two-thirds of patients with Sjögren’s dry eye have this form of blepharitis. This condition is called posterior blepharitis or meibomian gland dysfunction and is the most common form of dry eye disease. The most common form of treatment is the use of moist heat to the lids, cleansing of the lid margins and the use of oral antibiotics such as tetracycline. This regimen can result in significant improvement of the symptoms of irritation and pain. In more severe cases the use of locally applied steroids can be helpful. Current research is studying the use of locally applied hormone preparations and newer antibiotics to reduce inflammation and normalize the oil secretion. Punctal plugs have both pros and cons. The pros are that they are a safe method to retain tears on the ocular surface and have value in relieving symptoms when tear production is borderline or if the duration of applied tear substitutes needs to be prolonged. They are helpful as adjunctive treatment in the management of dry eye disease. 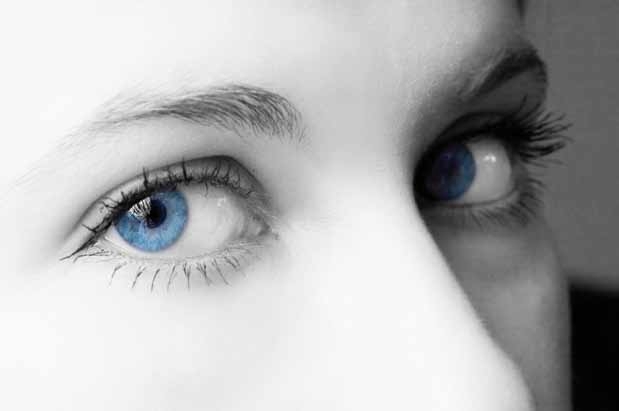 The cons are that when applied in the presence of inflammation that can occur as part of dry eye disease, they may aggravate symptoms by allowing the inflamed tear to have prolonged contact with the surface of the eye. Therefore, my recommendation is to treat the underlying inflammation before placing the plugs. Another con is that they can fall out and need frequent replacement. Rarely, the plug can provoke a localized inflammatory reaction in the tissue of the eyelid and produce a granuloma at the opening of the tear drainage puncta. On balance, punctal plugs are a useful adjunctive treatment for dry eye disease but should be used in conjunction with other therapies to control inflammation. One of the main difficulties with diagnosing Sjögren’s is that symptoms vary from person to person. Often patients will visit their dentist for dry mouth or excessive tooth decay and then their primary physician for joint pain and fatigue. This makes it difficult for both the patient and physician to put the symptoms together. As we continue on the road of achieving our breakthrough goal of shortening the time to diagnose Sjögren’s by 50% in 5 years, it is important to first identify the main reasons why people go to the doctor and seek a diagnosis. While we know Sjögren’s is much more than just the 4 hallmark symptoms of fatigue, joint pain, dry eyes and dry mouth, it is important to note that dry eyes and dry mouth are the two top symptoms that caused patients to seek a diagnosis. This is why, it is imperative that we reach out to dentists, dental hygienists, ophthalmogists, optometrists and rheumatologists with information about Sjögren’s and its hallmark symptoms.These are the physicians who are on the front lines and can help speed up a diagnosis of Sjögren’s. So remember, the Foundation offers “Dry Eyes,” “Dry Mouth” and “What is Sjögren’s Syndrome?” brochures to all medical offices, free of charge. We hope you will consider taking some of them to your next doctor visit! Sign up to be an Awareness Ambassador or help us spread the word about Sjögren’s by distributing brochures! Just call our office and request some brochures and we will mail them to you. Or have your doctor’s office contact us or sign-up online for brochures. Visit www.sjogrens.org or call us at 800-475-6473.